Quiero presentaros el blog de un amigo que es genial en el campo de la ilustracion. Por ahora esta haciendo dibujos 3D. Se lo esta currando bien y tiene muy buen gusto creando personajes. Su blog habla por si mismo. Hereby I would like to introduce you a friend who is a fantastic illustrator. At the moment, he is illustrating on 3D. He is working hard and has a nice taste creating characters. Please have a look at his blog. Una vez me comento que igual molaria que le imprimiese en camiseta uno de sus personajes. Y asi lo hice. 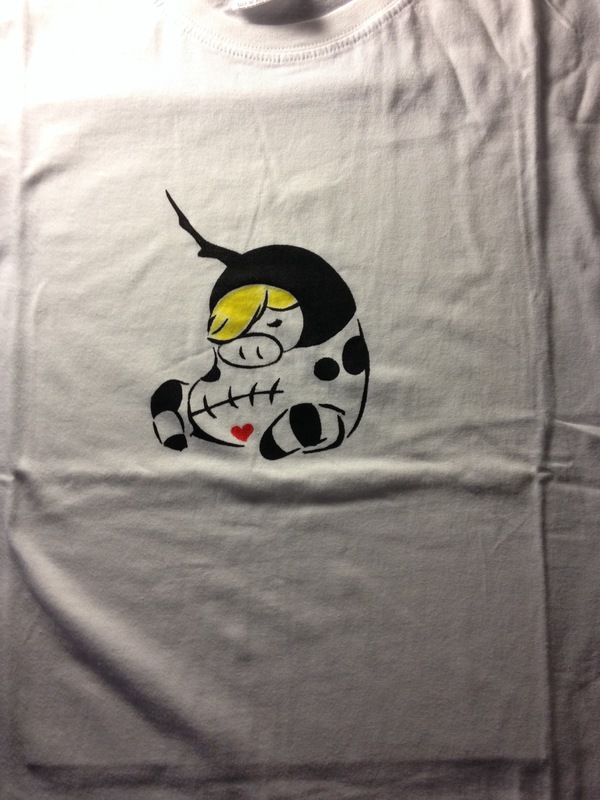 One time he told me that it could be nice to have a print on t-shirt of one of his characters. So I did it. Posted in Make your own t-shirts designs. Tagged illustration, prints, t-shirts. Previous: Previous post: Varios. Miscellaneous.